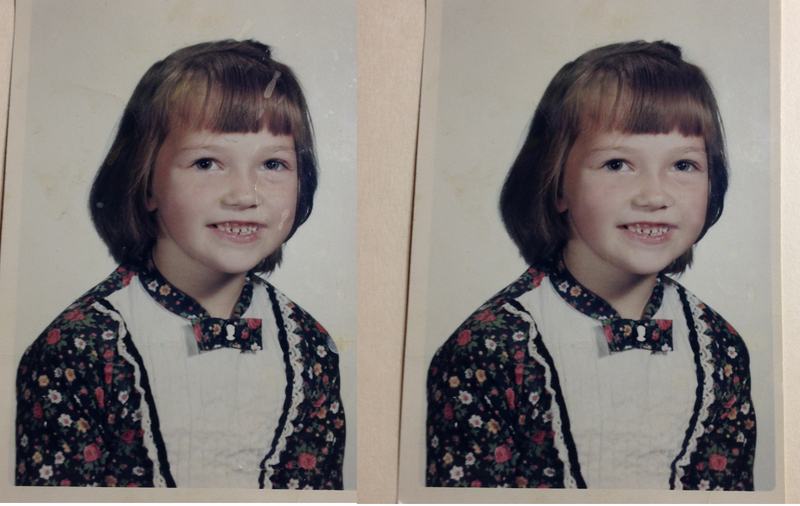 Starting out in the world as a first-grader can be frightening, but not in Germany. Parents help their children make the transition from kindergarten to primary school more enticing. They give them a “schultuete” or school cone. The large cone is decorated and filled with candy and gifts. 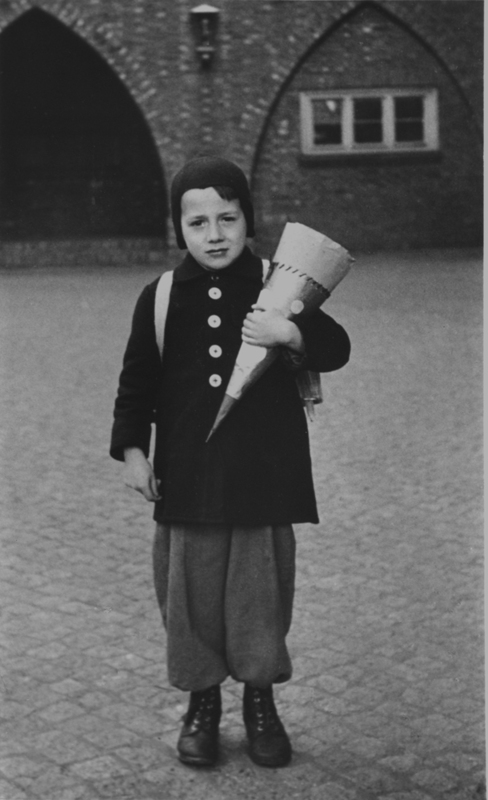 My Oma (Grandma in German) gave me a photograph of my Dad on his first day of primary school, holding his schultuete, in Hamburg, Germany in the 1940’s. The expression on his face is priceless. 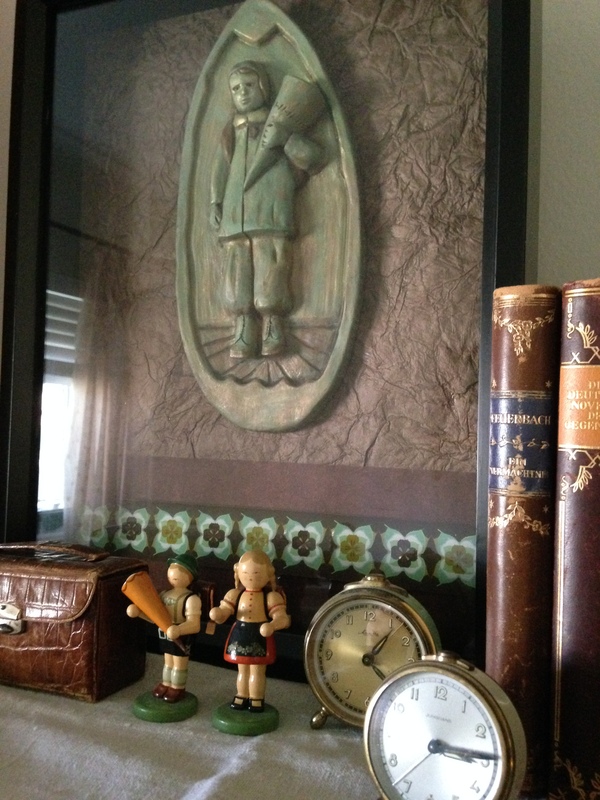 That photo inspired me to create a collage, and a ceramic piece, as pictured above in a shadow box display. Spending creative time to stylize all the German items my Grandparents saved over the years is one of my favorite ways to decorate. 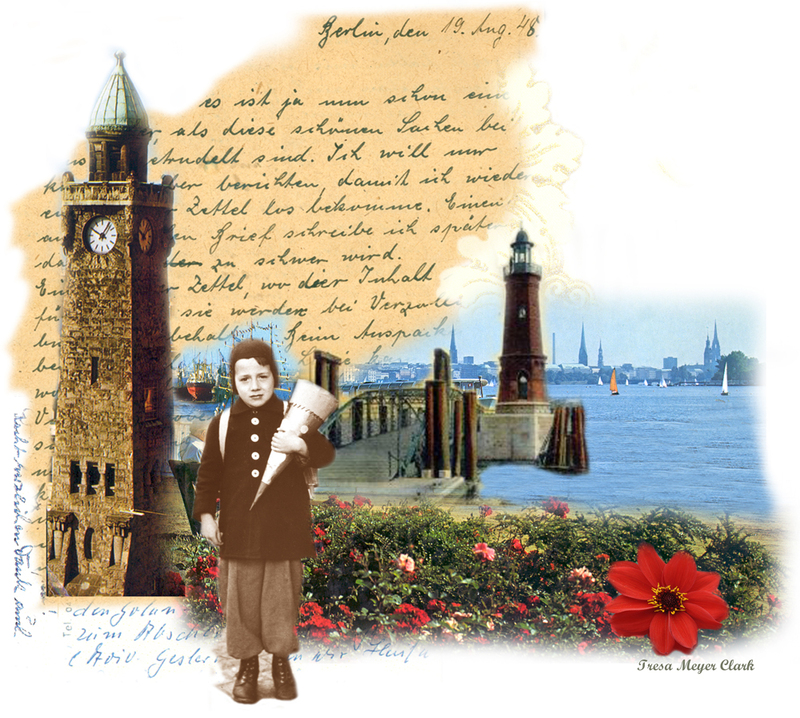 As a graphic artist, combining old hand-written letters from Europe and postcard memorabilia helps me to connect the past to the present in a collage. A way to capture the light, or bring the old stuff up from the basement storage and make it meaningful again.